The Transportation and Telecommunications Committee heard testimony Feb. 4 on a bill that would give wireless companies the right to place small cell wireless facilities in public rights of way. 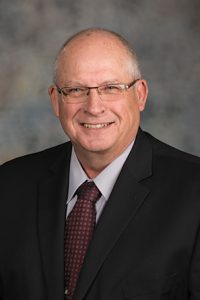 Henderson Sen. Curt Friesen, sponsor of LB184, said the bill is intended to create uniform, statewide standards for the permitting and deployment of small wireless facilities in public rights of way and on public infrastructure such as utility poles. Also called small cells, the facilities are short-range cellular nodes needed to support fifth-generation wireless technology, or 5G, in high-traffic areas. “This issue is too important for us to fall further behind other states in deployment of small cell technology,” Friesen said. A political subdivision, or authority, could require wireless providers to apply for permits to collocate, or attach, small wireless facilities to wireless structures and utility poles and to install, maintain, modify, operate and replace utility poles in the public right of way. The bill would give wireless providers the right—as a permitted use not subject to zoning review or approval—to collocate small wireless facilities and install utility poles within the right of way as long as they do not obstruct or hinder usual travel or public safety on the right of way or obstruct its legal use by utilities. The application fee to collocate small wireless facilities on an existing or replacement authority pole could not exceed $100 each for the first five facilities on the same application and $50 for each additional facility on the same application. The rate to collocate a small wireless facility on an authority pole could be no more than $20 per pole per year. The application fee for the installation, modification or replacement of a utility pole and the collocation of an associated small wireless facility could not exceed $250 per pole. An application would be deemed approved if the authority fails to approve or deny it within 90 days of its receipt. “We need consistent and clear rates, terms and conditions that will apply across the state to all the municipalities rather than … having to go city, by city, by city to deal with interpretations of the FCC order that will just slow down the deployment,” he said. David Young testified in opposition to the bill on behalf of the city of Lincoln. He said LB184 would limit a city’s ability to manage the public right of way and would place other users of the right of way, such as cable companies and utilities, at a disadvantage to wireless companies.